What can motivate a man to travel through the underworld, where fire is The drug of Life and god is nowhere to be found? Is it love? treasures? destiny? you decide. 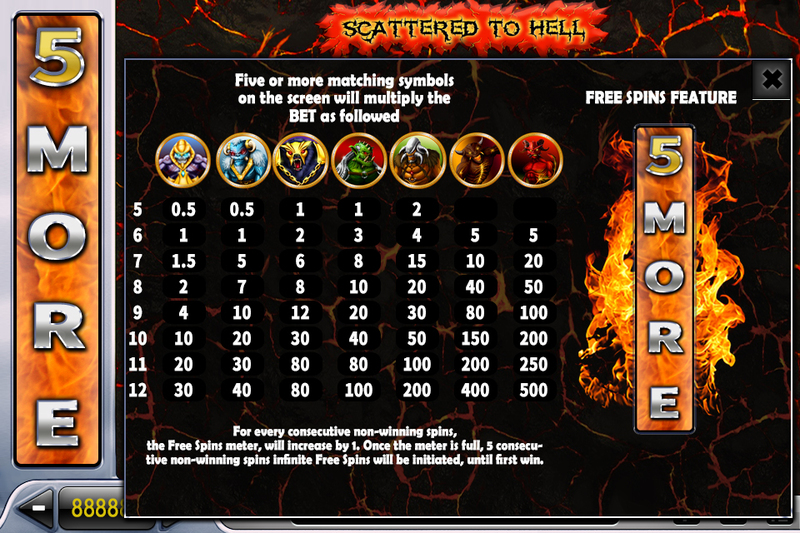 Scattered to Hell has some of the coolest and most innovative features. We’ve removed all the lines and created a 12 combinations scatter wins. The rule is simple click to spin, every combination of 5 or more wins! 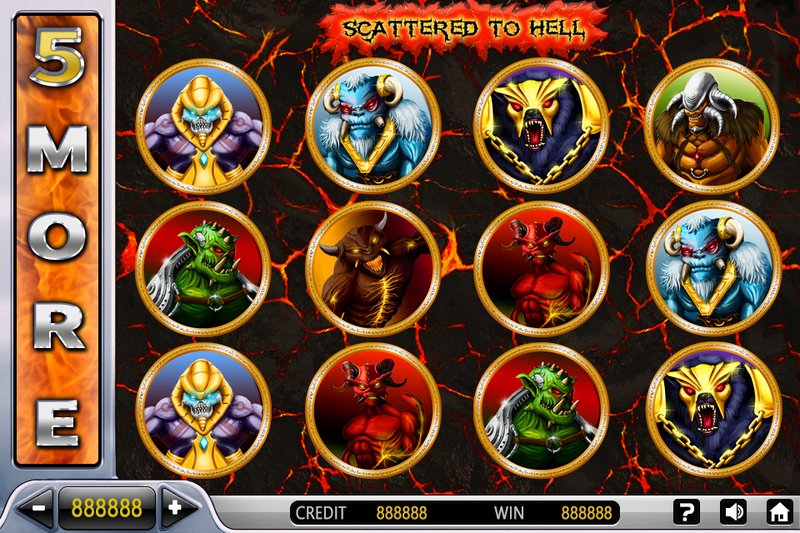 Plus, if you were unlucky for 5 consecutive rounds you will get infinite free spins until you’ll win.